The search for improved aerodynamics that maximise lift, and minimise its ugly sister drag, is as old as powered flight. Winglets provide a very effective way of reducing one of the biggest contributors to drag on an aircraft the vortex drag from the wingtips. And there’s a new tip in town – Scimitar. Aerodynamics 101 says that the pressure imbalance – high pressure below the wing, low above – creates a problem at the wing tips. The high pressure air below spills over the end of wingtip into the low pressure air above. This is most pronounced at the wingtips. The wing’s forward motion spins this upward spill of air into a long spiral, that trails behind as wing tip vortices or vortex drag. Winglets reduce the aircraft’s drag by partial recovery of the energy that is lost to vortices. They smooth the flow of high pressure air, reducing its spill to the top of the wing. The Smithsonian Air & Space magazine has a brief, but excellent history of the winglet. Boeing’s sleek blended winglets on the 737 deliver a a better climb to cruise that eliminated the need to step climb at full payload; steeper climb rates; derated takeoff and climb thrust settings; and, they reduce fuel burn by approximately 3.5 to 4 per cent on 737s. They also add another efficiency dimension: reducing interference drag. The smooth curve instead of a sharp interior angle as on the A330 or 747 reduces interaction of the boundary layer – smooth air attached to the wing – at the wing/winglet junction which if disrupted causes vortexes. First seen on the MD-11, the new 737 scimitar or feathered winglet is a more pronounced design that will deliver a further 2 per cent reduction in fuel burn. Shaped slightly differently to Boeing’s patent design on the 737 MAX, Aviation Partners Boeing new winglets increase the -800’s wingspan about 15cm, with the lower ventral strake adding approximately one metre (three feet) below the wing. A bigger increase in span delivers a further increase in aspect ratio without materially increasing the wingspan, the extra wingspan lowering lift-induced drag. 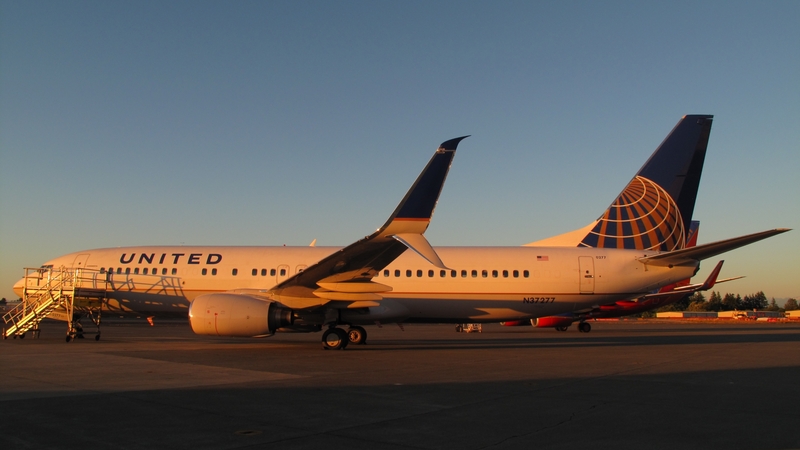 The new winglet balances this increase in effective span between the upper and lower parts. It makes the system more efficient without adding more weight. Airline research has also shown winglets also have a known psychological impact on customers who believe they makes the aircraft seem bigger, more technologically advanced and reliable.